Ayrton Senna was born on March 21, 1960 at Santana, Sao Paulo. He was highly athletic boy who excelled in gymnastics and other sports. But he found his real interest in motor racing at the age of 4 itself. At the age of 7, he was driving a small modified jeep around his family’s farm for hours at a stretch. He went to the Colegio Rio Branco where he excelled in Physics, Mathematics and Chemistry. But his interest was in motor racing, so he stopped studying further to concentrate on his racing career. His first kart was made by his father using a lawnmower engine. He entered his first kart competition at the age of 13 and finished with the pole position. His father was a big supporter of his son, so soon he appointed a full time manager for his son called Lucio Pascal Gascon. In 1977, Senna won his first major championship, the South American Kart Championships. Next he was able to take part in the Karting World Championships, where he came runner-up in the years 1979 and 1980. In 1981, he went to England to participate in the Formula Ford 1600 Championships. In the first year itself he won the single-seater racing competition with utmost ease. In 1982 he won the European Formula Ford 2000 Championships. In 1983 he drove for the West Surrey racing Team in the British Formula Three Championships and again won it his first attempt. That year he also won the inaugural Macau Formula 3 Grand Prix. With this win, many Formula One teams lined up to take Senna into their team. After much hype and fanfare, Senna joined the Toleman team for the 1984 F1 season. His team was a relatively new team and did not have enough resources to compete with the big teams like Mclaren and Brabham. His debut race was at the Brazilian Grand Prix and he scored his first championship points in his second race itself. In his first year, Senna was on the podium three times with 13 points in the 16 races. In the year 1985, he joined the stronger team, Lotus. Within the second race with Lotus, Senna was able to achieve his first pole position which he converted into his first race victory as well. That year Senna finished 4th in the Driver Championships with a total of 7 pole positions. In the 1986 season, Senna again finished 4th and in 1987 he finished 3rd in the Drivers Championships. In 1987 he joined McLaren and his team mate was two-time World Champion Alain Prost. In 1988, he won his first World Championship by beating Alain Prost by the margin of a single race. Both Senna and Prost went on to win 15 of the total 16 races. Senna continued his dominance by winning the 1990 and 1991 World Championships. He had become a national icon in his home country Brazil. He continued his good performances by coming 4th in 1992 and 2nd in 1993. In 1994 he chose to move to Williams by refusing Ferrari’s offer of $22 million per year. At the third race of the season in Italy, Senna crashed on the corner on lap 7 at a speed of 233 km/hr. 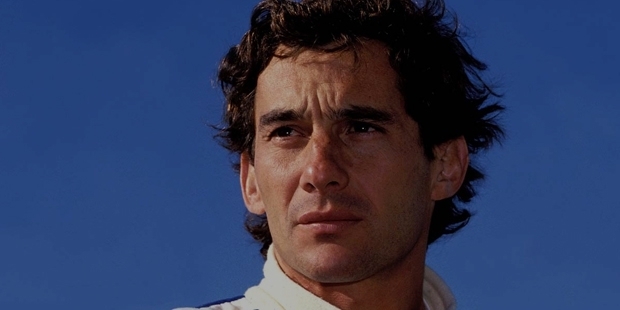 Senna couldn’t survive the accident and the racing fraternity lost its biggest hero at such a young age. Ayrton Senna is considered as the best F1 driver of all time on various motorsport polls. His fame and legacy have endured to this day to inspire millions of people to pursue excellence in the field of sports. He has been without a doubt one of the most successful sportsmen of the 20th century.